Observation - St Mark's fly - UK and Ireland. Description: I see these flies in large numbers every spring. They fly slowly with hind legs dangling. 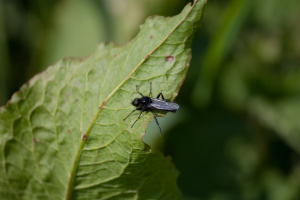 I see these flies in large numbers every spring. They fly slowly with hind legs dangling.